Northern youth group writes Osinbajo, ask him to make Biafra a reality – Royal Times of Nigeria. 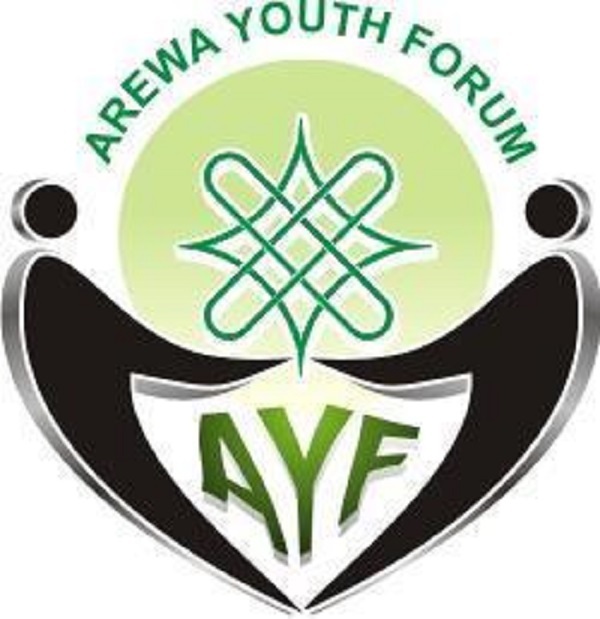 The coalition of northern youth groups led by the Arewa Youth Council, who gave a three-month quit notice to Igbos who reside in northern Nigeria in an open letter to Osinbajo has urged him facilitate the process that will lead to the creation of a Biafran state. The letter, which was signed by five leaders of the group commended Osinbajo for meeting with stakeholders from the North and Southeast but insisted it would not yield any fruit. They said the principle of self-determination has, since World War II become a part of the United Nations Charter which states in Article 1(2), that one of the purposes of the UN is “to develop friendly relations among nations based on respect for the principle of equal rights and self-determination of peoples”. On behalf of this coalition and all the peace-loving people of Northern Nigeria, we begin this letter by commending your efforts towards finding a lasting solution to the lingering Igbo-induced crisis that is undoubtedly overheating the polity. We sincerely believe Your Excellency’s good intentions as shown by your prompt and genuine actions towards ensuring peace and stability in holding talks with leaders of the North and the South-East. Though we do not doubt Your Excellency’s bona fide concerns for the peaceful resolution of the crises, we nevertheless have reservations as to the efficacy of this approach in ensuring lasting solutions. Our doubts are informed by the following historical antecedents that have characterized the behaviour and conduct of the Igbo in Nigeria and previous efforts at containing them. By that ill motivated, cowardly and deliberate action, the Igbo killed many northern officers from the rank of lieutenant colonel upwards and also decapitated the Prime Minister and the political leadership of the Northern and Western regions but left the zenith of Igbo leadership at the Federal level and the Eastern region intact. In line with the Igbo plan, General Aguiyi-Ironsi took advantage of the vacuum and, instead of returning power to the remnants of the First Republic government, he appropriated the coup and attempted to consolidate it for his people. Army officers of the Northern Region were eventually compelled to execute a counter coup on July 29, 1966 following a coordinated series of brazen provocations from the Igbo who taunted northerners on northern streets by mocking the way leaders of the region were slain by the Igbo. This unfortunately resulted in mob action which resulted in the death of many Igbos. And when Lt. Col. Yakubu Gowon, from the North, took over as Head of State following the counter-coup, the Igbo through Lt. Col. Ojukwu, characteristically refused to recognise Gowon. Ojukwu declared the secession of the Igbo people from Nigeria and the formation of the Republic of Biafra on May 30, 1967 resulting in a civil war that led to the tragic deaths of more than 2 million Nigerians. It is important to note here that the Igbo eventually capitulated and conceded defeat in an unconditional surrender, not an armistice, on January 15, 1970 which renders any talk about Biafra at any other time, a repudiation of the terms of that surrender signed by Phillip Effiong and other Biafran leaders. In a shot out of the blues, the Igbo have over the last 2 years regrouped and fiercely and openly started discussing Biafra again under Ralph Uwazuruike of the Movement for the Actualization of the Sovereign State Of Biafra MASSOB. This was given greater impetus by a more furious Igbo rogue group called the Indigenous People Of Biafra IPOB under Nnamdi Kanu who even operates an illegal radio station spreading hate and war messages across the nation, calling other ethnic groups all sorts of names and threatening them with violent extermination. The activities of the Igbo under Kanu’s IPOB has grown exponentially ranging from ordering people of other regions out of the South East – particularly the Yorubas and Hausa /Fulani from the South West and the North respectively, to open declaration of the amassing of arms and forceful total shutdown of the entire South-East. KANU and IPOB have declared full allegiance to a “Republic of Biafra” and continue to preach hatred and war virtually every day, and not for once did any Igbo leader call them to order. Instead, many of the leaders including Mr Ike Ekweremadu, the deputy senate president, the most senior elected Igbo, pay Kanu courtesy calls to prove that he is speaking for the entire Igbo. It is glaring to all that Kanu has serially breached all the terms of his stringent jail conditions in total disregard to the sanctity of our justice system. Even the latest statement by the South-East Governors Forum signed by Governor David Umahi of Ebonyi State in a response to the Northern reaction, did not condemn Kanu and Uwazuruike but characterised their action as “peaceful”. While all this is going on, neither the Igbo political and cultural leaders nor other regional leaders of the North or West nor the international community or any religious body ever found it necessary to call these renegade groups to order or in the very least admonish their leaders to do so. Furthermore, none of the Igbo leaders holding various positions in this government ever disowned IPOB or condemned its operations until lately with Governor Rochas Okorocha’s mild condemnation after the Kaduna Declaration by our Coalition. Given the unrepentant antecedents exhibited by the Igbo as highlighted above, we strongly believe that the gruesome picture that the Biafran agitation represents is beyond a few people showcasing to Your Excellency that the Igbo will eventually heed the call for peace and desist from their dangerous campaign against Nigeria. The seed of hate planted in the name of Biafra is evidently so deep that the ongoing interaction between you and the leaders from the South East cannot in our well informed opinion douse or address the underlying deep-seated underlying problems. We base our concerns on the following grounds. Despite the fact that the Igbo have been the most accommodated and tolerated of all the ethnic groups of Nigeria, the renewed incessant, spiteful and vile threats and insults on Northern leaders and their people, culture and religions that are the targets of this venomous agitation for Biafra, can hardly be addressed through a series of two hours dialogues. As if to prove this, barely hours after Your Excellency’s meeting with the South-East leaders, the Biafran Igbo openly disowned the leaders and dissociated themselves from the meeting. More disturbingly, Kanu has openly claimed that the Biafran agitators have amassed arms in readiness for a war of secession which is quite conceivable given the fact that since 2009, catches of dangerous weapons routinely smuggled into the country and occasionally intercepted by the Nigerian authorities, were all traced to Igbo sources. The situation continues to be baffling and alarming and therefore unacceptable – especially with the Igbo political and opinion leaders openly legitimizing the violent comments, insults, threats, hate speeches and call to anarchy that the Biafrans led by Nnamdi Kanu are making against the North and the Nigerian state in general. South-East leaders have instead, enthusiastically given Kanu the platform, patronage and symbolic legitimacy through an ignominious display of homage, reception and open embrace. Concerned by the fact that the Biafrans have confessed to arming themselves for a violent breakup, we feel that it is risky for the rest of the country particularly the North to go on pretending that it is safe for us to co-habitate with the Igbos given how deeply they are entrenched in our societies. And since evidently the Igbo have not been sufficiently humbled by their self-imposed bloody civil violence of 1966, we are strongly concerned that nothing short of granting their Biafran dream will suffice. And since the Igbo have virtually infiltrated every nook and cranny of Northern Nigeria where they have been received with open armsas fellow compatriots, we strongly believe that the region is no longer safe and secure in the light of the unfolding threats and the fact that for a long time, the Igbo have gone to extra ordinary lengths to ensure that in their domain in the South East, Northerners and Westerners are as much as possible disenfranchised from owning any businesses whereas in Kano alone, they own not less than 100, 000 shops across all the business districts. That since the younger generation of Nigerians makes up for more than 60 percent of the nation’s population, it is our hope that they inherit this country in better shape so that they can build a much better future for themselves and their offsprings in an atmosphere that is devoid of anarchy, hate, suspicion and negativity that characterize the polarized, and clearly irreconcilable differences forced on us by the Biafran Igbos. To make a bad situation even worse, their leaders have continued to show support for this treacherous cause and thus giving credence to our concern that what they say about us is what they truly mean and intend – “Kill everyone in the Zoo” (North). Your Excellency, we cannot afford to discard this as mere mischief as the utterances that caused the terrible Rwandan genocide still resonates in our minds. Lastly Sir, it is quite impossible to expect that other nationalities would simply stand by and watch while a certain ethnic group perpetrates all the above heinous misconducts that involve threats, call to violence and extermination, insults and songs of war without responding. While we unequivocally restate that we are not waging war or calling anyone to violence, we nevertheless are also not willing to continue tolerating the malicious campaign and threats of war that the Igbos have continued to wage against us. Neither can we afford to continue giving the keys to our cities to a people whose utterances, plans and arrangements are clearly geared towards war and anarchy. Taking steps to facilitate the actualization of the Biafran nation in line with the principle of self-determination as an integral part of contemporary customary international law. The principle of self-determination has, since world war II become a part of the United Nations Charter which states in Article 1(2), that one of the purposes of the UN is “to develop friendly relations among nations based on respect for the principle of equal rights and self-determination of peoples. We submit that this protocol envisages that people of any nation have the right to self-determination, and although the Charter did not categorically impose direct legal obligations on Member States; it implies that Member States allow agitating or minority groups to self-govern as much as possible. This principle of self-determination has since been espoused in two additional treaties: The United Nations Covenant on Economic, Social, and Cultural Rights and the United Nations Covenant on Civil and Political Rights. Article 1 of both international documents promote and protect the right of a people to self-determination. State parties to these international documents are obliged to uphold the primacy and realization of this right as it cements the international legal philosophy that gives a people the right to self-determination. As the Igbo agitations persist and assume threatening dimensions, we submit that there is need to ensure that they are given the opportunity to exercise the right to self-determination as entrenched under the aforementioned international statutes to which Nigeria is a signatory. Aware that the right of self-determination in international law is the legal right for a “people” that allows them to attain a certain degree of autonomy from a sovereign state through a legitimate political process, we strongly demand for a referendum to take place in a politically sane atmosphere where all parties will have a democratic voice over their future and the future of the nation. The Igbo from all over the country and in the Diaspora should be advised to converge in their region in the South-East for a plebiscite to be organized and conducted by the United Nations and other regional bodies for them to categorically to decide between remaining part of Nigeria or having their separate country. That government should at the end of the plebiscite implement whatever is agreed and resolved in order to finally put this matter to rest. Lastly, we pray His Excellency to study the references forwarded with this letter dispassionately and decide who is more in the wrong between those who openly pledge allegiance to a country other than Nigeria backing it up with persistent threats of war and those of us whose allegiance remains with the Nigerian state but simply urge that the secessionists be allowed to actualize their dream peacefully throw universally entrenched democratic options. Your Excellency, we want to reiterate our high respect for your office and acknowledge the efforts you are making to lower tensions. We assure you, as well-brought up northerners, we listen to the advice and cautions of our elders, and in particular, their concerns that we do not create the impression that any Igbo or any Nigerian will be harmed in the North. We assure you that we will defend the rights of every Nigerian to live in peace and have their rights protected. While we do not see this clamour for Biafra as an issue over which a single drop of blood should be shed, we at the same time, insist that the Igbo be allowed to have their Biafra and for them to vacate our land peacefully so that our dear country Nigeria could finally enjoy lasting peace and stability. This is the best the north has ever written/ spoken which gladdens the ear. God will bless whoever came by this thinking. Then what are waiting for? God bless you real good. Vice president Osinbajo, we are not waiting for your response but for you to respond immediately. It needs no delay. Chukwu okike Abiama will bless you and your decedants as you heed to this plea. Amen. All hail Biafra.